Welcome to Bob Medley School of Motoring, your one-stop service for driving lessons in Bolton. Choosing the right driving instructor from many of the driving schools in Bolton can be a minefield, so in order to help you choose the right one, just simply get in touch with us for a consultation period and we can put an action plan together and work out the quickest way to pass your driving test. Probably none of the other driving instructors in Bolton will offer you this. There’s only one driving school that I would recommend and that is Bob Medley School of Motoring. Right from the very start, I knew that Bob was the right driving instructor for me. He has a calm, patient and humorous approach and is very professional. I am so so happy, thank you Bob for helping me to achieve my dream. I didn’t think I would ever pass my driving test but now I have and i’m so happy. I will recommend everyone to you and you have really made my year. I can drive now, wahoooo. Thanks. I really enjoyed my driving lessons with Bob Medley School of Motoring. Bob made sure that I understood everything and explained things so that I could easily understand. He’s a brilliant driving instructor and I would definitely recommend your school. Here’s the 3 most common questions I get asked. 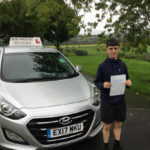 Do driving schools in Bolton help me with my theory and do I have to pass my theory test before I can take a driving test? Yes. In order for you to book your driving test, you first have to pass the theory test. If you haven’t first passed your theory test, then it’s impossible to book a driving test. This does not mean that you can’t take lessons. You can still take driving lessons and prepare for your theory test whilst taking driving lessons at the same time. In fact, I recommend this approach as we will cover a lot of the theory in our driving lessons together. You can take a practice theory test on the DVSA’s website by clicking here. 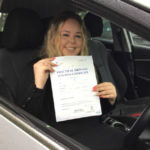 Is using driving instructors in Bolton and having driving lessons the quickest way to pass my driving test? 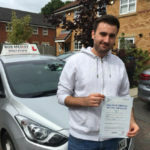 To pass your driving test quickly, ideally you need to have regular lessons. Having lessons once every Blue moon can break the cycle of learning and can affect the time it takes you to pass your driving test. By taking lessons on a regular basis, there’s a good chance that the learning from the previous lesson is retained and therefore you can then continue learning at a faster pace. Regular lessons is key coupled with any private practice you may be able to get from either friends or relatives. You can book your driving test on the DVSA’s website by clicking here.